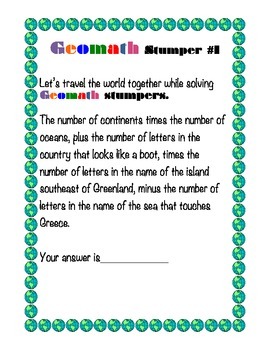 Building on our successful United States GEOMATH, we are broadening our students' horizons to solve third and fourth grade math stumpers. 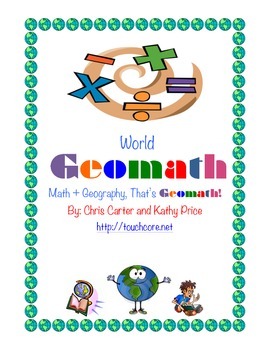 These six scaffolded multi-step problems encourage learning about world geography while practicing math skills tied to the Common Core State Standards. 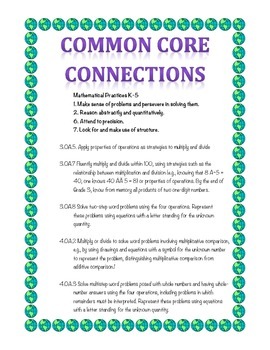 These are classroom tested and great for centers, group work or whole class bell ringers. Super for substitutes too!